Lustmord NY 2011 Teaser from Lustmord on Vimeo. Lustmord is Brian Williams, a Los Angeles-based dark ambient/industrial electronic musician who started recording with SPK in the early 1980s. He utilizes ultra-low frequencies – infrasound (i.e. below 20Hz, known to cause feelings of awe or fear). Lustmord has extracted field recordings (made in crypts, caves & slaughterhouses), occasionally combined these with ritual incantations, Tibetan horns & other acoustic phenomena treatments – often encased in expanded bass rumbles. 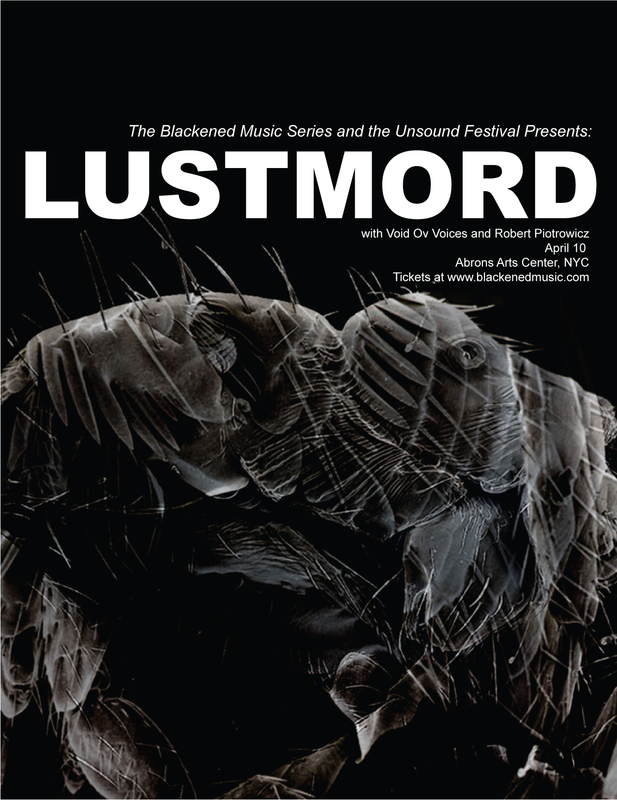 Lustmord has collaborated with The Melvins and Tool, and provided score music for films such as The Crow and Underworld. This performance doubles as a state-of-the-art sound installation with HD visuals created especially for the performance. Void Ov Voices is the solo project of Attila Csihar (Sunn O))), Mayhem). The concept of VOV is to use only his voice as an instrument to create musical rites. Robert Piotrowicz is one of the most prolific artists in the Polish experimental and improvised music scene, an accomplished performer of his own music and experienced improviser in different instrumental configurations with other artists. The Blackened Music Series is honored to be working with the esteemed Unsound Festival, a Krakow, Poland-based organization, in their second New York Unsound Festival. Poster image by Seldon Hunt. Powered by WordPress v 3.9.27. Page in 0.273 seconds.